Edgewood Highland School Library: National Parks NEW! National parks are large areas of public land set aside for native plants, animals and the places in which they live. National parks protect places of natural beauty. They also protect places important to Aboriginal people, and places that show how people lived in the past. 1. Why were National Parks created? 2. Why is it important that National Parks remain protected? 3. How are the National Parks different/the same? "Today, across our land, the National Park System represents America at its best." "There is nothing so American as our national parks.... The fundamental idea behind the parks...is that the country belongs to the people, that it is in process of making for the enrichment of the lives of all of us." "National parks are the best idea we ever had. Absolutely American, absolutely democratic, they reflect us at our best rather than our worst." Ms. Tanner Visits a Park! I have had the opportunity to visit many National Parks including Yellowstone, Yosemite, Grand Canyon, Grand Tetons, Carlsbad Caverns, Sequoia, and many more! I love seeing all that the National Parks have to offer. In April 2015, I got the chance to visit one of America's "strangest" National Parks. I visited Alcatraz Island in San Francisco, home to the infamous Alcatraz prison. Although it wasn't a typical "park," it was amazing! 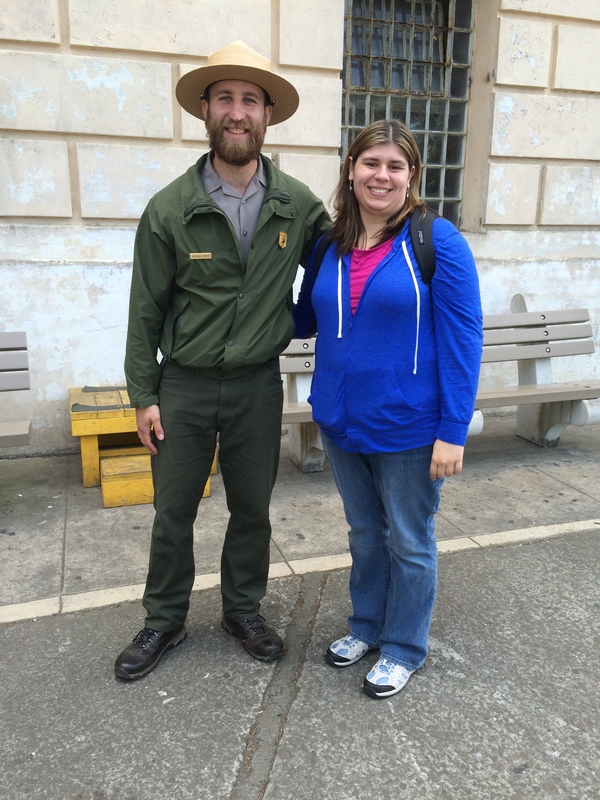 Check out my picture with an official National Park Ranger! National Parks are an important part of America. But where did the idea come from to start designating certain areas as National Parks? In the early 1800's, explorers went out West to see what they could find. What they discovered were spectacular places like the Grand Canyon and the bubbling pots of Yellowstone. In 1872, Yellowstone was officially declared as the world's first National Park. Around the same time, the Industrial Revolution was happening and open areas of wilderness were becoming crowded and polluted as cities were being built up. Wanting to protect more land, Yosemite became the second National Park in 1890. On August 25, 1916 President Woodrow Wilson signed the act creating the National Park Service. There are now more than 400 National Parks, Monuments, and Historic Sites throughout the United States. Ready to become a National Park expert? 1. Watch the first three minutes of a video about your park by clicking on the name of your park above. 3. Click on "File" (top left) and then on "Make a copy"
5. Follow the directions on each page to answer the questions. 6. After becoming an expert on your park, you will be creating a Google Drawing to encourage people to visit your park. (There is more information in your packet) To find out more about Google Drawing, click here. The people who work at the parks and help care for the parks are called Rangers. At most parks, you can participate in programs to become a Junior Ranger. Even if you can't visit a park, you can still become a Junior Ranger online! 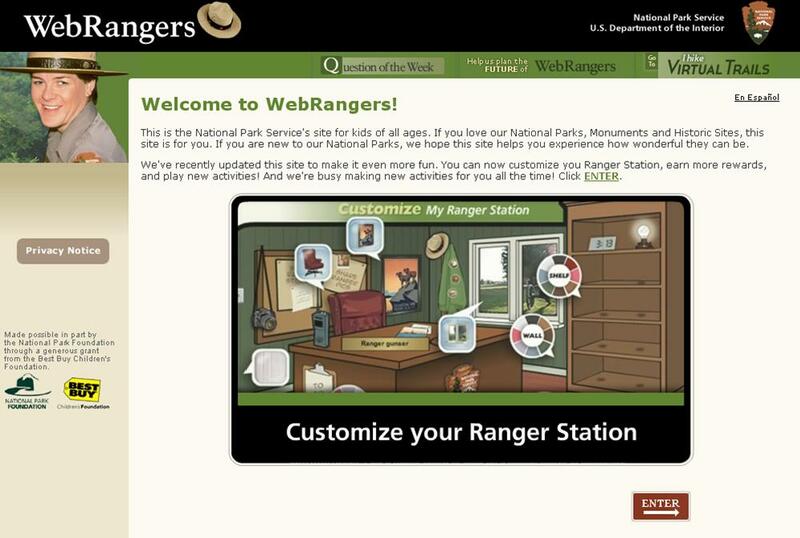 Play a variety of games and complete activities to earn your Web Ranger badge. Click here to become a Web Ranger!